We’ve known since November ’18 that the plan for Slipknot was to enter the recording studio in January ’19. 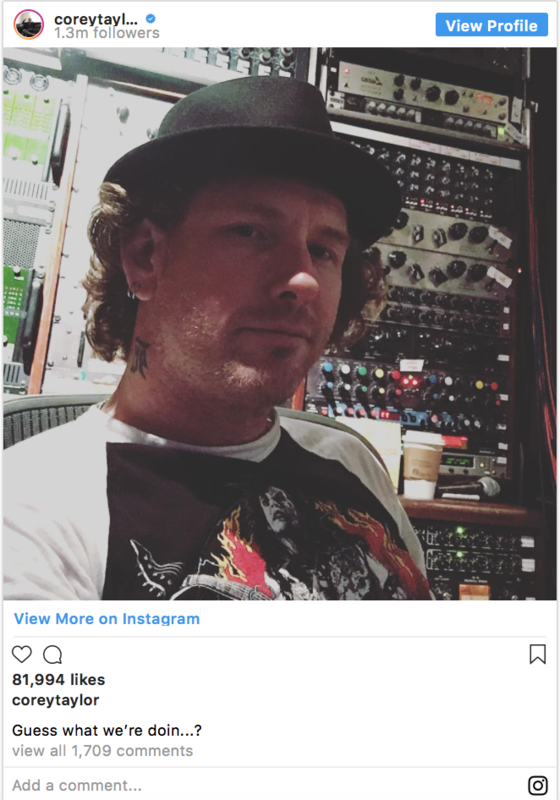 Now, singer Corey Taylor has confirmed it. Slipknot’s last album was well-received and over two years was nominated for three Grammy Awards – “The Negative One” – Best Metal Performance, Best Rock Album & “Custer” – Best Metal Performance. Do you think Slipknot’s new album will be as successful as their last?